(CN) – In the search for causes of many of the complex health problems bees face, beekeepers need only look in the mirror. 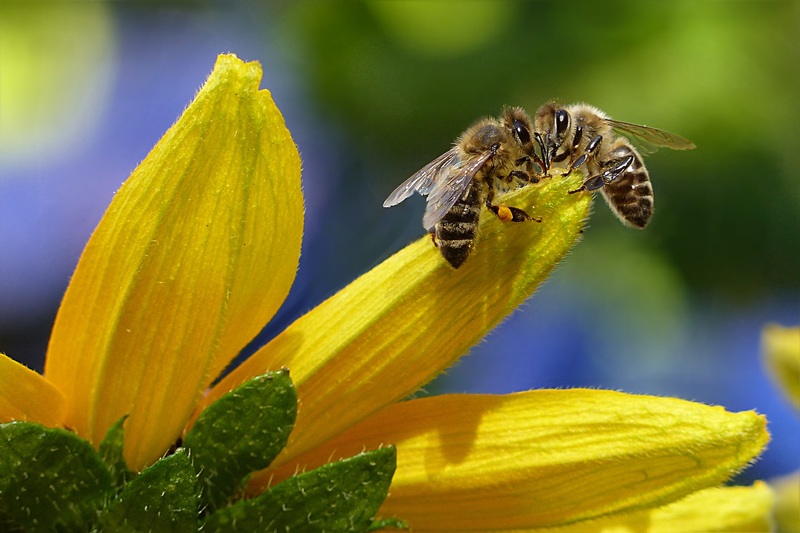 In an essay published Thursday in the Journal of Economic Entomology, Robert Owen argues that human activity is the principal driver of pathogens that affect the European honey bee – the species primarily responsible for honey production and pollination around the world. While some research seeks a “magic bullet” solution to the issues honey bees face, such as Colony Collapse Disorder, Owen argues that human action creates many of these problems and common beekeeper practices must change to solve them. “The role of inappropriate human action in the spread of pathogens and the resulting high numbers of colony losses needs to be brought into the fore of management and policy decisions if we are to reduce colony losses to acceptable levels,” Owen says. Owen, a Ph.D. candidate at the University of Melbourne in Australia and author of The Australian Beekeeping Handbook, outlines several of the human-driven factors that foster the spread of honey bee pathogens in the essay. He specifically mentions large-scale and loosely regulated movement of bee colonies for commercial pollination, the international honey bee trade, and careless application of pest-management principles that leads to overuse of antibiotics and pesticides. “Of the 2.66 million managed honey bee colonies in the United States, 1.8 million were transported to the Central Valley of California in February 2016 to pollinate the almond crop,” Owen says. To curb the spread of pathogens and other issues, Owen suggests implementing stronger regulation of global transport of honey bees and bee products, widespread usage of integrated pest control practices, and increased education on pathogen management. Owen highlights the need to specifically educate and support hobby beekeepers, who often unwittingly exacerbate these problems. “Many hobby beekeepers do not have either the skills or the interest to inspect and manage colonies for disease, and are frequently responsible for other problems such as uncontrolled swarming,” Owen says.